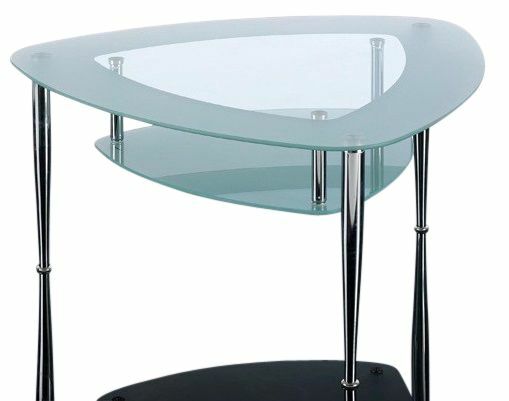 Two tiered glass coffee table with a shield shaped top and stylish tapered Chrome legs. Available from stock for a free and fast delivery. Highly attractive and professional finish coffee table with a tempered glass petal shape top. The glass top includes a thick frosted border for style purpose.